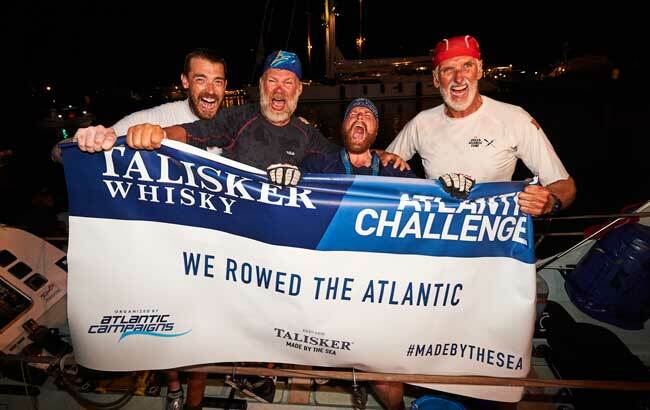 The Dutch Atlantic Four has become the first team from The Netherlands to triumph in the annual Talisker Whisky Atlantic Challenge. The competition sees teams of rowers race across the Atlantic Ocean from La Gomera in the Canary Islands to English Harbour in Antigua. The Dutch Atlantic Four completed the 3,000-­mile race in 34 days, 12 hours and nine minutes. Marcel Ates, Erik Koning, Bart Adema and David de Bruijn arrived in Antigua to be greeted by family, friends and locals of the small Caribbean island.